One thing is for sure: 2014 is already a thing of the past; inbound marketing is not. 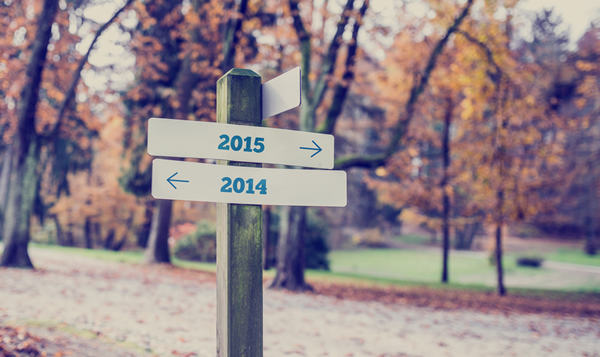 Now, it is time to look ahead at 2015 and discuss 5 easy inbound marketing tips you can use to grow your business. The tips presented below are based on the most effective inbound marketing strategies, which have helped hundreds of businesses achieve incredible results over the years. Formerly called Google Places, Google+ Local has been especially developed to help people discover and share new places, whilst allowing marketers to advertise their businesses. Though the process of getting your business on top of Google+ listing can be difficult and time consuming, it is well worth the effort considering the benefits, ranging from more visitors to your website to a higher profit margin. Content is still among the most critical components of inbound marketing. That is because the right type of content can help companies rank prominently in search results and gain more visibility. Though considering the target audience, posting unique, diverse, useful content on a regular basis, such as twice a week, and including relevant keywords to your business remain the general rules of content marketing, creating visual content, such as infographics and videos, personalising posts to meet consumer’s personal preferences, making content mobile friendly, replacing long-form technical documents with interesting, engaging content, and encouraging guest blogging and collaborative marketing define a few more trends that will dominate content creation in 2015. Over the past few years, there has been a lot of talk about remarkability – a marketing concept introduced by Seth Godin and commonly referred to as “purple cow”. According to this concept, it is no longer enough to know what your customers want; you have to understand what is truly valuable to them. Whilst surprising customers with remarkable, unique yet useful products or services will put the stamp of authenticity on your business, continuously investing in different strategies to achieve high levels of exceptionality will turn your company into a pioneer in its field. A business should not only look for new technologies constantly, but also think about the best ways to apply the latest tech breakthroughs to inbound marketing. If a while ago, the term “mobility” suggested that the mobile revolution was upon us, an increasing number of marketers are currently talking about another tech “wonder”: Artificial Intelligence (AI). How will AI impact inbound marketing? To keep things simple, all you need to know is that AI applications will soon be able to predict what customers want, even before they know they want it. Continuously analysing data from different devices and using complex algorithms, AI will help you develop smarter, more effective inbound marketing strategies, which will benefit both you and your customers. Once you start bringing in leads, you have to find the most effective way to communicate with them, be it via newsletters, emails, SMSs, RSS feeds, or a combination of all these. For successful lead nurturing campaigns, you must focus on a series of factors, ranging from who your prospects and leads are and what services or products they want to how much communication they have had with you so far. Regardless of what other people say, inbound marketing is growing in popularity. According to a recent report published by Digital Sherpa, the number of survey respondents practicing inbound marketing has increased from 60 percent in 2013 to more than 80 percent in 2014.